Location, Location, Location!! Welcome to Ridgeview at East Crooked Lake. 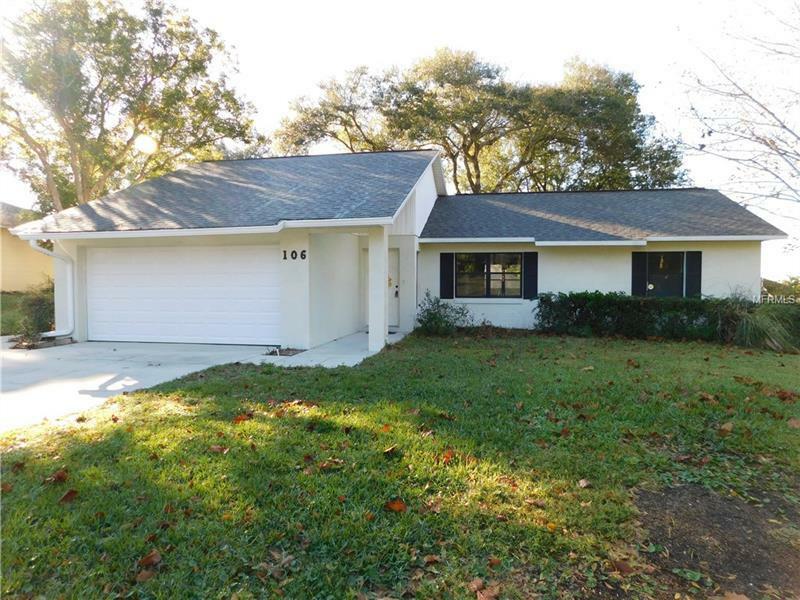 This well kept, established community sits just moments from both Downtown Eustis and Downtown Mount Dora with quick access to shopping at Target, Publix, Walmart, and Lowes (just to name a few). This three bedroom, two bath, two car garage, block home features a new roof (installed at the end of 2018), a new garage door (installed in the fall of 2018) and has a newer A/C (installed in 2012). This well maintained gem features a split plan with a HUGE enclosed back porch/ Florida room and private back yard. It is located on a dead end, cul-de-sac street which limits the traffic flow. There is so much to love about this home, especially the price! Schedule a showing with your Realtor today! Pet Restrictions: See City and County codification for pet restrictions.